A new piece of smart clothing is looking to help athletes of all levels reduce the risk of muscular injuries by providing feedback on activity. PrecisionWear, which initially started out in the European Space Agency's Incubator programme, analyses a total of 21 metrics from around the body. Runners, for example, are able to tap into the likes of ground contact time, stride imbalances and heart rate information, while other activities, such as football, American football, tennis and basketball, can also be tracked. 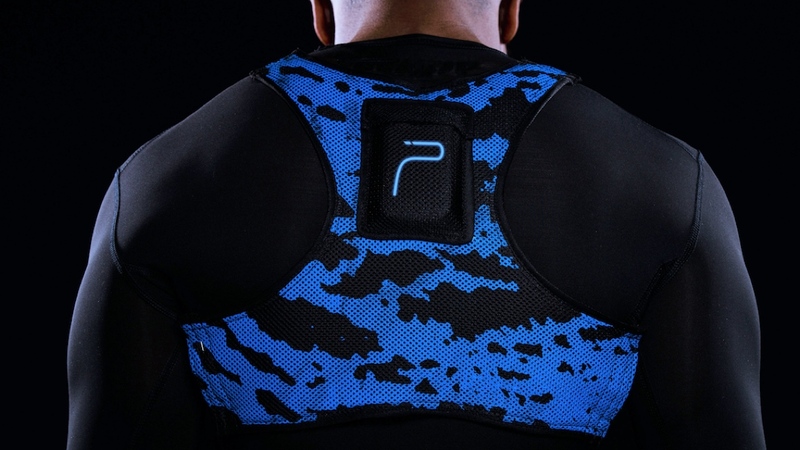 And like many other smart sports clothing garments, PrecisionWear uses a compression vest with a sensor that slots into the back to gather its metrics. This is used to identify key movements, interpret the loads and stressors affecting the body and then feed into PrecisionNET, the company's AI network. This is then used to analyse the wearer's previous data alongside current sessions and interpret within the context of the personalised training profile. So while basic feedback will be provided at the end of each session, there will also be a summary of results and information regarding the body's reaction, recommendations on how to optimise performance and suggestions on how to avoid injury. PrecisionWear also comes stocked with a heart rate monitor belt, too, which works together with the sensor in order to decipher how the body is reacting to the loads recorded externally. As a result, the company believes it is covering both bases and is able to offer a fuller picture on an athlete's health and performance. The kit is currently doing the rounds on Indiegogo, hunting down its $30,000 funding goal, with early bird offers beginning at $184 ahead of expected shipping in March 2018. Naturally, while the device promises a lot on paper, just how it performs when in the hands of users remains to be seen. We'll be testing it out over the next couple of weeks to get a better idea, so make sure to check back for our review.